The Malta Summit comprised a meeting between US President George H. W. Bush and Soviet Premier Mikhail Gorbachev, taking place on December 2–3, 1989, just a few weeks after the fall of the Berlin Wall. It was their second meeting following a meeting that included Ronald Reagan, in New York in December 1988. During the summit, Bush and Gorbachev would declare an end to the Cold War although whether it was truly such is a matter of debate. News reports of the time referred to the Malta Summit as the most important since 1945, when British Prime Minister Winston Churchill, Soviet Premier Joseph Stalin and US President Franklin D. Roosevelt agreed on a post-war plan for Europe at Yalta. Brent Scowcroft and other members of the US administration were initially concerned that the proposed Malta Summit would be "premature" and that it would generate high expectations but result in little more than Soviet grandstanding. 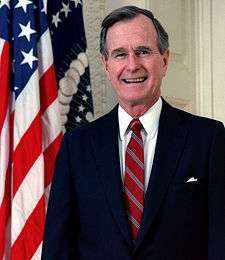 However, French President François Mitterrand, British Prime Minister Margaret Thatcher, other European leaders and key members of the US Congress prevailed upon President Bush to meet with Chairman Gorbachev. No agreements were signed at the Malta Summit. Its main purpose was to provide the two superpowers, the United States and the Soviet Union, with an opportunity to discuss the rapid changes taking place in Europe with the lifting of the Iron Curtain, which had separated the Eastern Bloc from Western Europe for four decades. The summit is viewed by some observers as the official end of the Cold War. At a minimum, it marked the lessening of tensions that were the hallmark of that era and signaled a major turning point in East-West relations. During the summit, President Bush expressed his support for Gorbachev's perestroika initiative and other reforms in the Communist bloc. At the summit, as a token, US President George Bush presented all participants of the conference a piece of the Berlin Wall. It was gathered on a presidential mission in which two pilots and four soldiers with sledgehammers were sent to Berlin where 400 lb were collected; 200 lb were given to the President and 200 lb given to members of the 207th Aviation Company. "The world is leaving one epoch and entering another. We are at the beginning of a long road to a lasting, peaceful era. The threat of force, mistrust, psychological and ideological struggle should all be things of the past." "I assured the President of the United States that I will never start a hot war against the USA." "We can realise a lasting peace and transform the East-West relationship to one of enduring co-operation. That is the future that Chairman Gorbachev and I began right here in Malta." The meetings took place in the Mediterranean, off the island of Malta. The Soviet delegation used the missile cruiser Slava, while the US delegation had their sleeping quarters aboard USS Belknap. The ships were anchored in a roadstead off the coast of Marsaxlokk. Stormy weather and choppy seas resulted in some meetings being cancelled or rescheduled, and gave rise to the moniker the "Seasick Summit" among international media. In the end, the meetings took place aboard Maxsim Gorkiy, a Soviet cruise ship anchored in the harbor at Marsaxlokk. "... it took a long time to get it arranged, finding a place, a place that would not be ceremonial, a place where you didn't have to do a lot of other bilaterals. And fortunately - or unfortunately - they chose Malta, which turned out to be a really horrible place to be in December. Although the Maltese were wonderful, the weather was really bad." 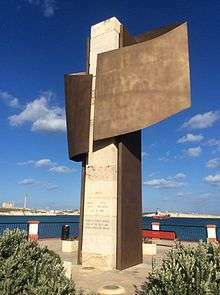 "Malta is a neutral state actively pursuing peace, security and social progress among all nations by adhering to a policy of non-alignment and refusing to participate in any military alliance." ↑ "An Interview with Dr. Condoleezza Rice (17/12/97)"
↑ Michael R. Beschloss and Strobe Talbott, At the Highest Levels: The Inside Story of the End of the Cold War, Little Brown (London) 1993, pp. 128-9 and 160. ↑ James Baker, The Politics of Diplomacy: Revolution, War and Peace, 1989-1992, Putnam (New York) 1995, p.169. McGeorge Bundy, "From Cold War Toward Trusting Peace", in Foreign Affairs: America and the World 1989/1990, Vol. 69, No. 1. BBC News: "1989 - Malta Summit Ends Cold War".